This will be the first time when Sanjay stars in a Yash Raj Films' venture. After Ranbir Kapoor, superstar Sanjay Dutt has been finalized to play a principal part in filmmaker Karan Malhotra's upcoming biggie, Shamshera. The project was announced earlier this week with Ranbir Kapoor in the role of a dacoit. "Shamshera is a highly ferocious and fearless character in the film. Therefore his nemesis, the villain had to be even more fierce and monumental in every aspect. Who’s better than Sanjay Sir to give us that impact on screen," revealed director Karan Malhotra. Sanjay Dutt, who has been working in films for more than three decades now, will do his first film with Yash Raj Films. The actor is quite excited about working with actor Ranbir Kapoor also. "My father and Yash uncle were very close friends and now that I’m doing my first YRF film, it is an extremely emotional moment for me. When I heard Karan’s idea to pit Ranbir against me, I thought it was just brilliant. I’m looking forward to shooting this incredibly exciting film, my second with the hugely talented Karan Malhotra," he said. 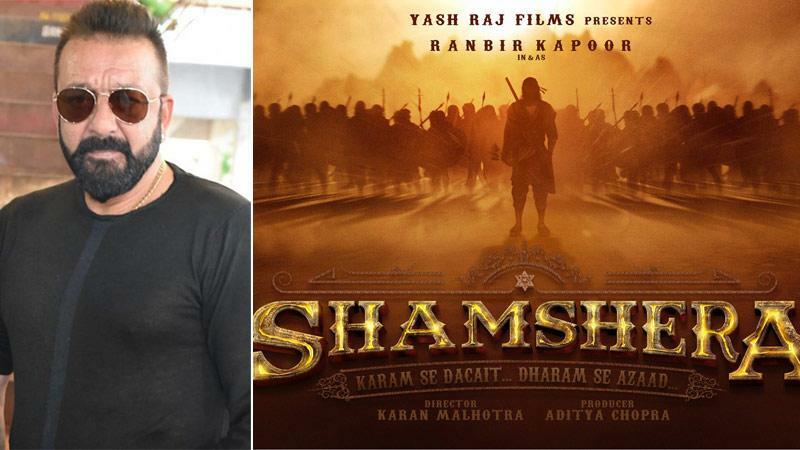 Shamshera will commence production later this year. The makers are planning to complete the film by mid-2019. Ashutosh Gowariker ropes in Sanjay Dutt, Arjun Kapoor and Kriti Sanon for Panipat!